Recent rapid advances in high-speed computer technology have provided a new reality, an perhaps urgency, to the arguments concerning some of the most basic and long-standing of philosophical issues. If computers can, before too long, achieve a genuine artificial intelligence, then may they not also have artificial minds? In this series of lectures, a distinguished group of international contributors from a variety of disciplines debate the current position. 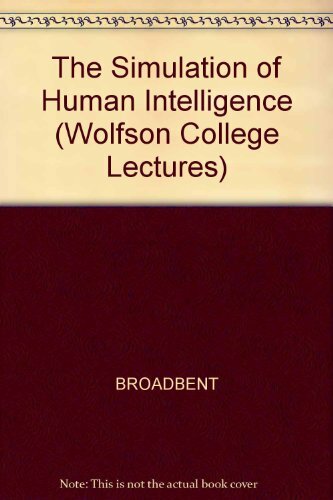 Donald Broadbent's introduction describes the parallels in human and machine behaviour, asserting the value of a scientific approach. Roger Penrose goes on to set the scene by evaluating current claims and issues, supporting a sceptical view. Contributions from Allen Newell, Dana Ballard and Mike Brady present some recent achievements of engineering and computer science, showing just how far machines have come. In his chapter Edmund Rolls offers a perspective from neuroscience and examines how certain cognitive processes (such as memory) can be understood in terms of how the brain itself computes and functions. From linguistics, Gerald Gazdar considers recent progress in getting computers to handle natural languages (such as English, Japanese, etc) rather than artificial languages. In the final chapter, Margaret Boden assesses the impact on philosophty of the current argument, which hangs on the resolution of a deep philosophical debate about the nature of mind. 3. 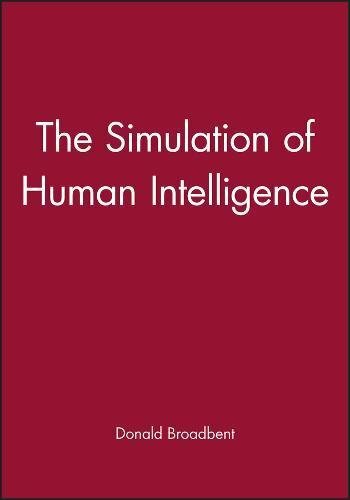 The Simulation of Human Intelligence.